Two weeks ago we baptized my son at Saint Edward Church in Youngstown. I started looking through family photos related to baptisms and found this one. 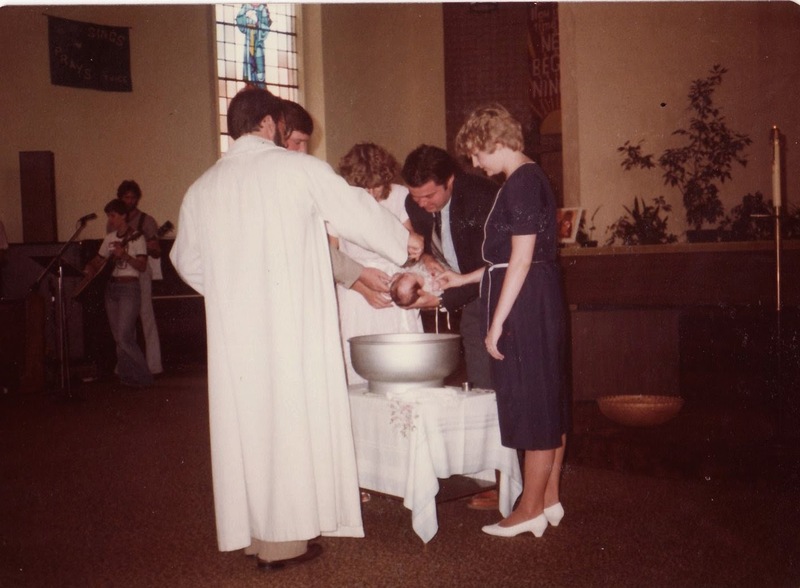 My sister Caroline was baptized at the old Saint Joseph Church, then the Youngstown State University Newman Center, in summer 1983. Around the baptism font are my parents and Caroline’s godparents, our aunt Marie Dockry and uncle Mike Lowry. Both are obscured behind the priest, Fr. Ray Thomas. The Newman Center at Saint Joseph Church was torn down in 1992.